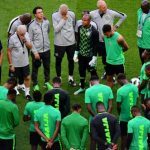 Other artistes on the list include Distruction Boyz (South Africa), Fally Ipupa (DRC), Nyashinnski (Kenya) and Shekinah (South Africa). 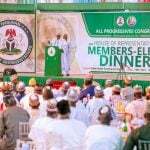 The Abuja Division of the Court of Appeal has fixed Wednesday for the hearing of the appeal filed by the Osun State Governor, Adegboyega Oyetola, and the All Progressives Congress (APC), against the judgment of the Governorship Election Petitions Tribunal. Unknown gunmen have abducted two wives of permanent secretary in Taraba state deputy governor’s office. 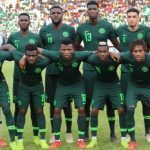 Super Eagles coach Gernot Rohr says two months to the Nations Cup in Egypt is too short a time to experiment with new players. 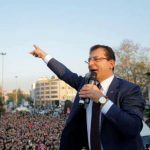 Turkish election authorities on Wednesday confirmed opposition candidate Ekrem Imamoglu’s win over President Recep Tayyip Erdogan’s ruling AKP candidate after a recount of last month’s disputed Istanbul election. 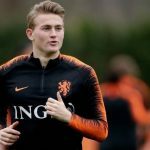 Former Ajax captain Siem de Jong would like to see in-demand teenage defender Matthijs de Ligt join La Liga champions Barcelona.